For Azerbaijan, the glory of being the most developed country of the region does not end with energy reserves, as the country is keen on using all advantages of its geographical location. The country’s territory could be an alternative to Russia and Iran as the transport route between such important economic regions as Europe and Asia, offering favorable chance for the transport of goods and passengers. Azerbaijan can also play a significant role as an additional transport corridor to the existing through the Suez Canal maritime route. Furthermore, Azerbaijan is a connecting link between Russia and Iran, which can be realized with the North-South International transport corridor. Azerbaijan is well aware of its transport opportunities and is trying to actively develop transport infrastructure both domestically and in the region as a whole. Free economic zone may be established around Baku Port to develop and diversify the economy, attract direct investment and open new jobs. “We are now considering a proposal to create a free trade zone around Baku International Sea Trade Port,” Taleh Ziyadov, the Port`s director general, told journalists on January 20. He hailed the proposal, saying “if realized, it would revive the economy and push the non-oil sector”. Usually the goal of a FTZ is to increase foreign direct investment by foreign investors, namely an international business or a multinational corporation. Here certain economic activities are especially allowed and where free trade and other preferential policies and privileges different from the host country are granted. Such zones offer incentives to attract businesses from abroad, but also to be successful they have to outweigh their infrastructure and revenue costs. FTZ ranges from a small size to a large dimension, from a zone inside a country to a cross-border zone involving more than two countries and further from an economic zone to an economic and administrative zone. FTZ can be a significant piece of the diversifying economy if executed correctly. The project can draw up to $1 billion of foreign investment within a few years. The idea is to create not only a transit hub around the new port, but ensure economic recovery. This is possible through the establishment of free and special economic zones, and therefore proposed to establish free economic zone around the Port of Baku at Alyat, such as in Hong Kong or Dubai. The Port, according to Ziyadov, can create conditions not only for cargo handling, but also for their packing and storage. He underlined that the initial plan of projects has already been drawn up and submitted to the head of state. The new Port of Baku at Alyat is located on an area of 400 hectares (ha) of land, of which about 100-115 ha cover the area for the development of the international Logistics and Trade Zone. The northern areas around the port are reserved for future expansion of logistics, industrial, and manufacturing activity. The New Port of Baku at Alyat enjoys favorable location at the strategic crossroads of the regional railroads and highways. Azerbaijan’s all main rail and highways meet in this location. Furthermore, the new site is in close proximity to Iranian market (200 km), Russian market (250 km), Turkish market (1,000 km), Central Asia (300-400 km), and West China (about 3,000 km). As for the realization, not so much left to wait. Ziyadov claims that the new port plans to handle million tons of cargo in 2015. Currently, the priority is given to the construction of the Ro-Ro terminal before the end of 2016. This is the main terminal for moving large trucks (TIRs) that travel between Turkey and Central Asia. The construction of Phase 1 in the new Port of Baku at Alyat is scheduled to complete in 2017. This will allow the port to handle up to 10-11 million tons of cargo and 50,000 containers per year, which boost this transport corridor. The second phase of the project involves the construction of three cargo berths, and the third phase - two more cargo berth. Following the second phase, the port capacity will reach 17 million tons of cargo and 150,000 containers, and at the end of the third stage - 25 million tons of cargo and 1 million containers. Meanwhile, head of Azerbaijan’s Railways Javid Gurbanov announced that Azerbaijan, Georgia, Kazakhstan and Ukraine will agree on a common pricing policy for freight traffic on the Trans-Caspian international transport routes by late February. This will open up a new route from the Izov station on the border of Ukraine and Poland till the Dostyk station on the border of Kazakhstan and China. 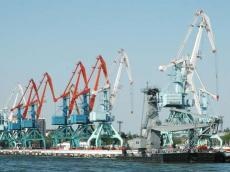 A uniform tariff policy for cargo traffic from China to Europe through Kazakhstan, Azerbaijan, Georgia and Ukraine will be agreed by mid-February after determining the distance from Ilyichevsk or Odessa to Georgian ports of Batumi and Poti, Gurbanov stressed. Over the past decades, high tariffs on this route deterred transporters, but the competitive prices will ensure flow of cargo on the route. The Trans-Caspian International Transport Route is expected to transport approximately 300,000-400,000 containers by 2020, bringing hundreds of millions of manats in profit to Azerbaijan. FEZ includes micro and macro objectives, common and special objectives that evolve step by step from the economic to the social and political level. The micro objectives evolved from creating trade, export, employment, foreign exchange, and attracting foreign capital to absorbing advanced technology, investment, and training personnel, but the macro objectives evolved from promoting regional development to carrying out structural reform and regional cooperation, experts say. When creating such zones, the state usually invests only in the establishment of appropriate infrastructure, and all other investments come from private and foreign sources. Experts expect $1 billion to be invested in this project in first years, later increasing to tens of billions already. The Baku Port already received proposals for cooperation from the world's largest ports, including Singapore, Dubai, Antwerp and Rotterdam ports. Major logistic companies and freight forwards are also interested in the project realized by Azerbaijan, which strategic importance for Eurasia and the world growth with each realized project.